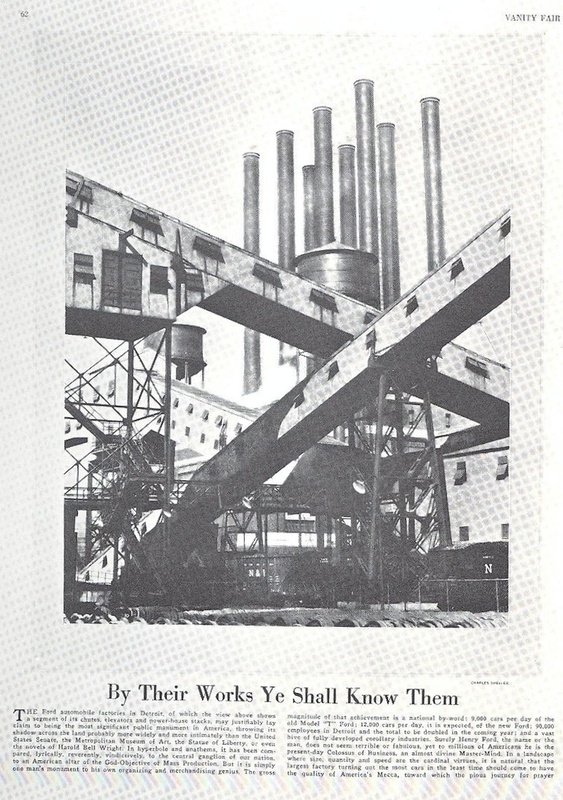 Charles Sheeler’s Criss-Crossed Conveyors, taken at the Ford motor plant at River Rouge, a few miles from Detroit, is one of the landmark photographs of the machine age. In the harshness of industrial construction, the photographer finds an exhilarating new vision of beauty. The play of light on the angular structures defines their forms with absolute precision. The photograph is almost Cubist in its density of overlapping planes, and yet the chaos of steel gantries, smokestacks, water towers, and enclosed conveyors for coke and coal resolves into a state of perfect equilibrium. Any view of Sheeler’s masterpiece is now tinged by our knowledge of the history of the automobile industry, by later environmental concerns, and by an awareness of the uncaring way that Fordism treated the human cogs on the assembly line. A workforce of more than 100,000 would eventually labor at the plant, though no workers appear in the picture, and that absence may not be incidental. 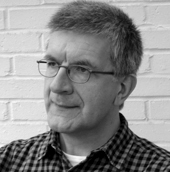 As Karen Lucic writes in her study Charles Sheeler and the Cult of the Machine, “The images reveal that the price of American industry’s ‘efficient’ organization of production is an oppressive, dehumanized technocracy.” Commercial culture eclipsed religion, but it could never be a substitute. 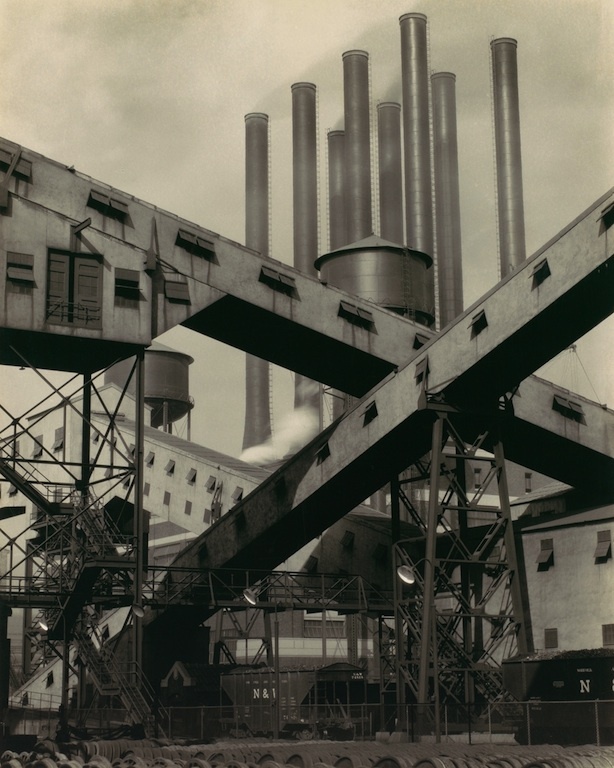 Sheeler’s still sublime image is suffused with an air of foreboding. It's a new kind of information for me. I have a good read form here. I have no good idea about this before. I did the normal writing and reading of normal numbers. I just visited the site to get essays online for this type of topic before.